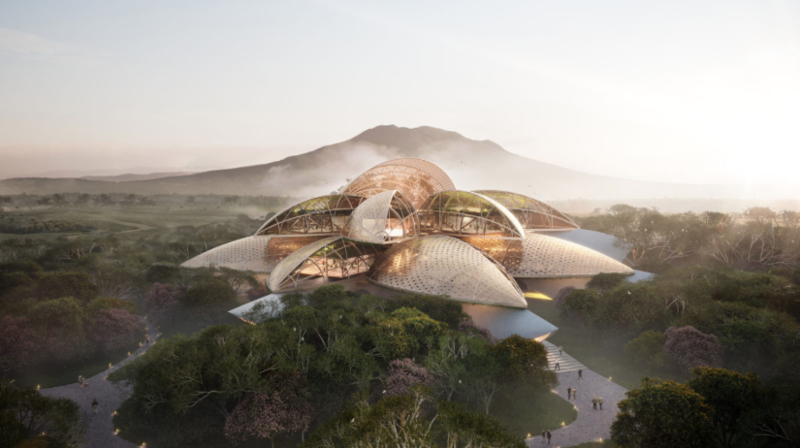 The Provincial Government of Camarines Sur has recently unveiled plans for a new eco-friendly capitol building which aims to promote the environmental sustainability and cultural heritage of the province. 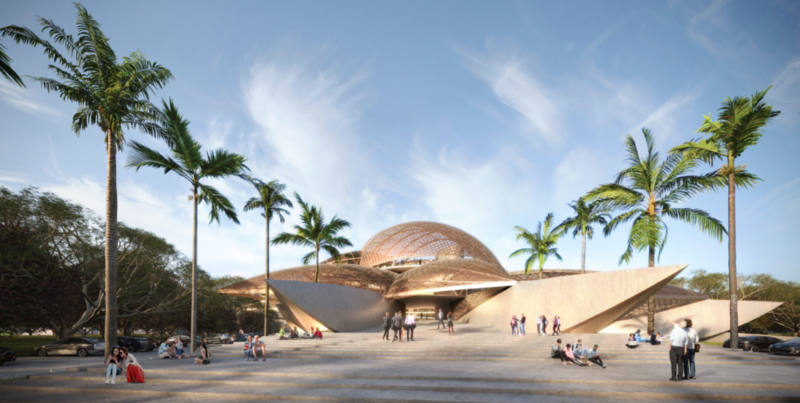 Designed by Carlos Arnaiz Architects (CAZA), the new provincial capitol is envisioned to have roofs inspired by the curved husk of the pili nut, while its shape takes after that of Mt. Isarog located in the province. It will be made with metal sun-screens to provide a series of shaded roof terraces organized around a covered open-air atrium. The building will also have a public roof deck that offers a view of the mountain. “The Camsur Capitol is a project that builds on the possibility of designing a different future for architecture by repurposing the endangered material of indigenous cultures and local industry,” says CAZA. The eco-friendly design also features extensive greenery. The four-level building will be located between the Pan-Philippine Highway and the CamSur Watersports Complex. The first level will have a covered parking, drop-off, and service areas with connections to the building through a system of vertical circulation cores. The multi-purpose lobby plinth crowned by an open-air atrium will be situated on the second level, while administrative offices will take up the third. The governor’s quarters and a viewing deck with a panoramic view of Mt. Isarog will be on the fourth level. Scheduled to be accomplished in the next six to nine months, the CamSur local government projects the structure’s completion by the end of 2019 or the first half of 2020. The capitol building is the first in CamSur’s infrastructure program. Other projects will soon follow such as the expansion of the Naga Airport in Pili, modernization of the Philippine National Railways (PNR) line, and the Camarines Sur West Coast Tourism Highway that will connect the towns of Balatan, Pasacao, and Ragay, and lastly, the Bicol River bridge that will connect the town of Libmanan and Naga City.